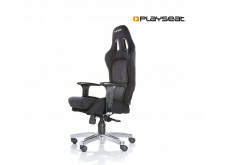 Office and gaming chairs, with a racing look! 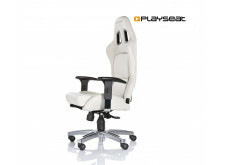 Playseat® has high end office and gaming chairs for people that are looking for high quality and a unique design. 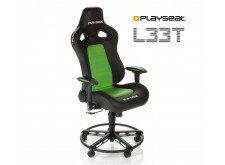 As number one brand in racing simulation, Playseat® knows how to make high quality chairs with a sporty, racing look. 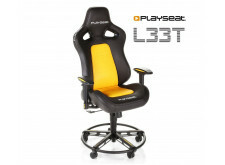 The comfortable cushions of the seating are upholstered with durable leather look vinyl or Alcantara, the material that gets used in real racing cars. The chairs are very stable with an extra sturdy foot and have an adjustable backrest, which provides extra flexibility. A high quality gas cylinder lift system makes sure you are positioned optimally at your desk, whether it's for work or for racing a few laps! 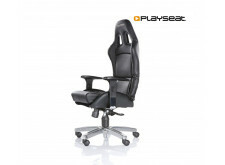 If you've got a fast job or just like to sit comfortable at your desk, Playseat® has the perfect office chair for you! 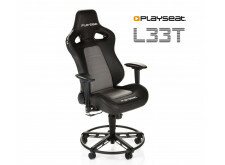 For the people that want the best, most comfortable, most fun gaming experience, Playseat® developed the Playseat® L33T. It doesn't matter which game you play and it doesn't matter if you use an Xbox, PlayStation or PC: this is the elite gaming chair you need! It's truly tailored to the gamer. Thanks to perfect mixed foam, the cushions are soft enough for hours of gaming, yet sturdy enough to last long and provide feedback if feedback devices are used. 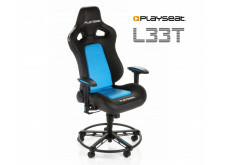 The unique, patented foot of the Playseat® L33T has extra large wheels for smooth rolling and a sturdy rim as footrest, which gives you extra comfort!